Leged to table above: C18:1 – number of carbon atoms (C) in the molecule (18) and number of unsaturated bonds(1). Of course, all the above mentioned problems have their solutions, however, this is exactly what an experienced soapmaker can resolve without problems, while a beginner can have a hard time as he does not know how the process should look like or what to expect. Instead of 38% of oils as recommended by SoapCalc, use less water to obtain 35% lye solution (e.g. if you need 125g of NaOH, use 125/35*65=232g of water). 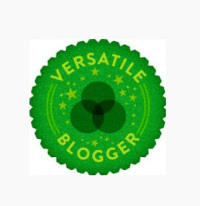 This accelerates the trace – attention, can cause problems with other oils! Add an essential oil or fragrance that accelerate trace. By long cure time – Castile soaps are cured for more than a year before being distributed to the shops. The less water, the better the foam. Mechanically- use the old, good soap net! By using warm and soft water – hard water create soap scum and makes it much more difficult to foam. Warm water helps foaming! By adding something containing sugar (sugar, honey, milk, yogurt…) in your lye solution, … or substitute 5% of your olive oil by castor oil (but then it is not a 100% olive oil soap ). Do you have any recommendations for olive oil soapmaking? 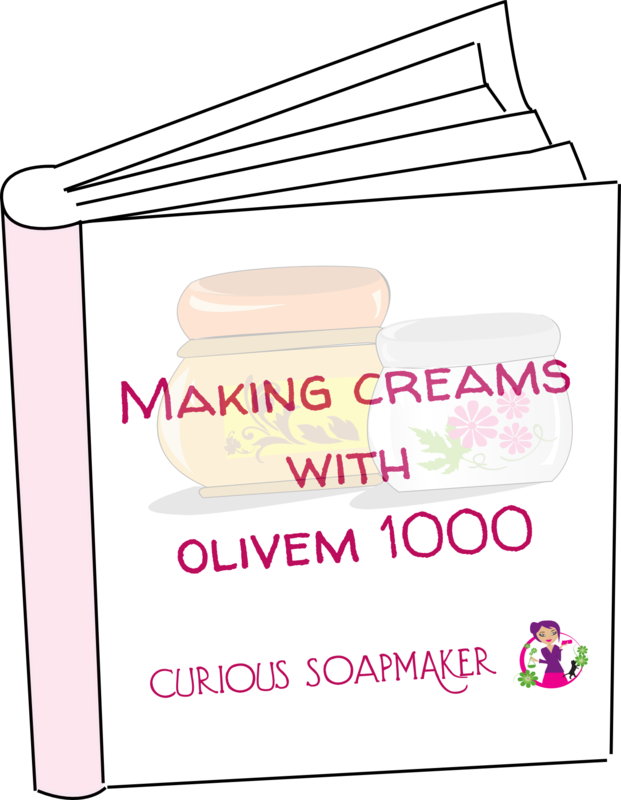 This entry was posted by evik on April 13, 2013 at 00:06, and is filed under for beginners, soap tips & tricks, soapmaking, soapmaking basics. Follow any responses to this post through RSS 2.0.You can leave a response or trackback from your own site. In your experience, is there any difference between plain Olive oil and Extra Virgin? I usually use 100% olive oil or a mixture of olive oil and extra virgin but tried pure EV on a batch 8 weeks ago and it is still slightly sticky to touch. Another batch 6 weeks old, with only 25% EV is hard and smooth to touch. Both used the same recipe. The only other difference is that I used lemongrass EO in the sticky batch. Is the difference in the oil or the essential oil do you think? well, if by plain olive oil you mean pomace olive oil, then yes, I do see a difference. The extra virgin oil usually contains more unsaponifiables, which is good for your skin, but takes much longer to trace and cure. I don’t think it is the essential oil, it is definitely the extra virgin. Thank you so much for this article! I’ve been making homemade soaps for a little bit now, but I’ve never done a batch of 100% olive oil soap. Now I feel like I have the confidence to do so. I’m gonna try a batch of hot-process soap today with some of the tips you mentioned. Wish me luck! Go figure, I have made soap twice in my life…both times by Cold Process. The first time was a 100% Olive Oil Soap, which turned out beautifully. The second time was a tallow soap and it wound up with pockets of Lye in it. Which is why it has been years since trying this again. Now I have a scale to weigh amounts out exactly, and not have to rely on measurements which can be a little over or under. Trying to decide on CP or HP method. Thank you so much for this resource and the information. Thank you for the information on 100% Olive Oil soap, may not attempt it again until I am more experienced. I am a beginner, and I have made olive oil soap three times, and each time it came out perfect. I am allergic to just about everything so I decided to try my hand at a natural soap and I am glad I did. I do not use any fragrance or colors in my soaps as that defeats the purpose in my case. (allergies) I also don’t add anything else such as other oils or beeswax, because then it won’t be 100% olive oil soap. I do not agree that beginners should avoid making 100% olive oil soap as it can be done. I read every possible article I could find on the subject and use a very old recipe from a book I picked up while visiting Europe. I was completely prepared to make this soap and I have successfully on three occasions. The reasons you list for beginners to avoid making this soap don’t seem to be very good reasons at all IMO. This was the first soap I tried making and with the proper preparation it is just as easy as making any other soap. Each batch I made cured for a minimum of 8 mos. When I finally used it, the lather was very smooth and creamy. Some of the articles I read said the soap would be slimy, but I didn’t experience that at all. I will make this soap again and again, and I encourage anyone that is interested in a 100% olive oil soap to try it. Just be patient and thoroughly prepare yourself before starting. Hi T.C., thanks for your comment. You are one of the few beginners, that had from the beginning what it takes to be a great soapmaker, as you state yourself: “patience” and “thorough preparation”, good for you! Helas, many of my readers have not and I cannot count how many times I got frustrated emails on “why their soap does not foam” and “why it is drying my hands” or “why is it taking so long to trace” – that is the experience of the wast majority of beginners with 100% olive oil soap (indeed many other soaps, but that would be for a longer article) – they are impatient and really not willing to wait 8 months for their soap to properly cure to get it foamy (indeed your soap did foam well after 8 months, see my first tip on how to make it foam)… majority would love to use it the very next day. would you mind sharing the ‘very old recipe from a book you picked up while visiting Europe’? I have never made soap before but got courage from your post here. thank you. May I know if you used SoapCalc for your calculations? because I try to run the numbers you gave and I get nothing. If it’s not too much trouble could you pretty please explain me how you got that recipe and if your christmas soaps turned out well? Just to say, I wanted to make a castille to make some shampoo with, I used the above recioe, cured for 5 week,s it’s perfect, no issues at all! Just a quick question: recently came up with my soap maker fans why the 100 % olive oils soaps from Southern Europe have that nice deep green colour, like the olives themselves. Any idea? I don’t think it is fake colour, none of them states it and I don’t think they bother with that. You and me know that castile soap is bright yellow but certainly not dark green. I’d love to hear your view on that. Hi Agnes, I was already thinking about this and went from theory that it must be fake (since we know we don’t get green olive oil soaps! ), but recently I again experimented with one oil soaps and found that very green oils like hemp or avocado give very green soaps. So I believe that for soapmaking they might use some very raw olive oil, which is much greener (probably due to impurities). I just made my first ever batch of 100% olive oil soap (first of any kind of soap, actually), and it turned out pretty good. Even though I used extra virgin olive oil (only because I did not have higher acidity oil this time), I discounted water and achieved trace much faster (about 5 minutes with a hand blender) than I expected; in fact, it traced it too much and I had to pour into mould quickly. Not sure if this was due to the fact that I added scented oil and a smudge of pigment, or just the water discount. Anyway, I know that the soap won’t foam, and would like to add sugar or honey to the next batch, as the article suggests. Any advice as to how much honey/sugar, and how, to add to the lie solution (ie before or after adding the lie to the water)? Thank you for the excellent article, by the way. Hi Max, I suggest you dissolve one-two tablespoons of sugar in water prior to adding NaOH for each 1kg of oils. Or you can add melted honey at trace – again 1-2 tablespoons. If you want an olive oil soap but don’t want to make it, do you have an suggestions where to buy it from? What about olive oil soap makes it different than other soaps? Is it generally though of as the most gentle soap for those with sensitivities? Olive oil isn’t my favorite. It won’t feel like a commercial soap. It’s slippery, smiley, slow to lather, and gives a nice film over your hands. 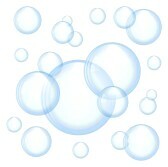 It’s bubbles are small. It’s a soft and mild soap. We can supply you with olive oil or olive oil soap in a very reasonable price. I’m wondering whether adding sugar instead of salt would work? Anyone here have any experience with this? Sorry, I just read through the previous comments. Just ignore my questions above! Thank you for this article. I am an experienced soapmaker and have tried many times to make a successful castile soap, and have only had one batch turn out. You’re right, it is not a soap for beginners, and when teaching people about soapmaking, I warn them off of castile. If it would have been the first soap I had ever made, I would have thrown in the towel long ago. I will try your tips the next time I get brave enough to make castile again, and hopefully things will go better. Thanks again! Hi Lahnie, thank you very much for your feedback! I wish you good luck with the next batch – what went wrong with the others? I believe each soap can be rebatched…. let me know. the water discount or adding/diluting salt to water solution? Hope you will get back to me. The green olive oil soap that you see in some places is made with pomace olive oil. Thank you for this article! I made a 100% olive oil soap a couple weeks ago and just discovered SoapCalc. I put my recipe through and it seems to be telling me it is a wildly unbalanced soap. But as we all know Olive Oil soaps can be wonderful after a long cure (the lather improves and the bar hardens up a lot). So I’m wondering if SoapCalc just isn’t equipped to tell me the properties of soap that changes after a long cure? Also I’ve just done some extensive research on traditional Spanish Castile soap, Savon de Marseille, and Aleppo soap. The Aleppo soap is green from Laurel Berry Oil. When its fresh its green, after a cure the outside is golden and the inside remains green. French soap makers are required to use only 72% olive oil to call it Marseille soap. The other percentage can be other vegetable oils. They have also traditionally added clay and brine (sea water) to their soap. The soap is made by boiling and they may make their own lye still (the old way) from sea plant ash or barilla tree ash. Its not a cold process soap made from commercial lye. So there are many reasons their soaps could be green. Many French soap makers these days also make scented varieties with herbs in them and sometimes colorant. It would still be Savon de Marseille but not the plain version. Hi Mary, yes it does, but here I discussed 100% olive oil soap. 100% olive oil soap was my first soap, cold process. It turned out fine. I’ve continued to make it, but sometimes add some castor oil, for bubbles. I’ve also made soap from rendered bacon drippings, and it was a great soap. I’ve made 100% grass-fed beef tallow soap, but was in a different climate, with almost no humidity. The bars cracked, but were still useful. 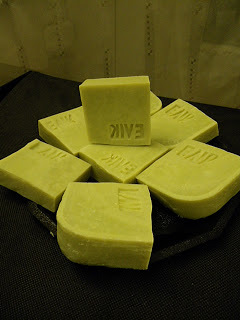 olive seed oil gives green soap. (the oil from the seed of the olive fruit) i dont know if pumace and olive seed oil is the same thing.. i dont know if filtered and non filtered olive seed oil gives the same green color. i live in southern europe-mediteranean-Greece and traditional soaps here are with olive oil. (white or yellow-brown depends) and soaps from olive oil and olive seed oil (green). me personaly i use only extra virgin olive oil bcoz i m olive oil producer. and i give a litlebit salt in my batches. i take a wonderful white soap. for green i put a litlbit nettle.. yes the foam after 4 months its not the perfect bt its ok. after all olive oil and good sea salt are great for skin. ps some others here use sea salt water and hot proccess bt i dont know the results of this. sorry for my poor english. love. Theodore.